Thyroid Surgery. Surgeon Holding In Gloved Hand Surgical Scalpel Over Of Volume Model Of Thyroid Gland. 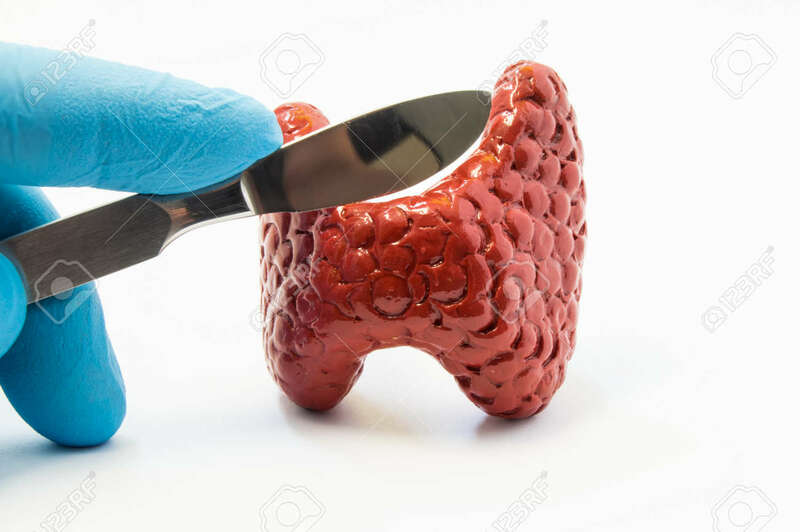 Concept For Surgery Operations On Thyroid Such Thyroidectomy, Cancer And Endocrine Pathologies Royalty Free Stok Fotoğraf, Resimler, Görseller Ve Stok Fotoğrafçılık. Image 72828214.